BA (Hons) French/Spanish; Diploma in Management Accounting; NVQ Level 4 Periodical Journalism; Diploma of the Institute of Public Relations. NVQ Level 4 Periodical Journalism course. Full range of PC-based office equipment; MS Office 2010. 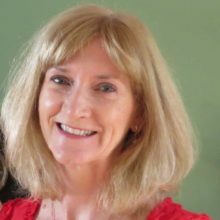 Twenty-one years as a writer and editor in Editorial Solutions Ireland Ltd, carrying out a wide range of editorial projects from copy-editing and managing the production of academic books to corporate journalism and plain English editing. Books, corporate reports, research reports, magazines, websites, ezines, brochures. Copywriting, corporate journalism, copy-editing, proofreading, plain English, ebook creation, bid writing. Corporate communications, particularly in the public sector; production of archaeology books; plain English editing of informational documents. Invest Northern Ireland, Transport Infrastructure Ireland, Tourism Ireland, Tourism Northern Ireland, Sustainable Energy Authority of Ireland, Ulster University, Department of Health. After working as an accountant for several years I switched from numbers to words and co-founded Belfast-based agency Editorial Solutions Ireland Ltd in 1997.